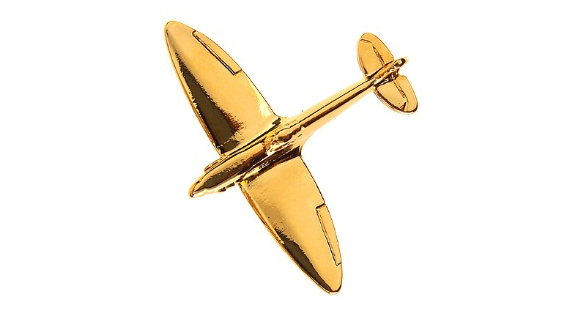 Celebrate the 80th anniversary of the Spitfire test flight in 1936 with this 22 carat gold plate Spitfire badge. Add to your collection or start one now with this quality Spitfire badge gold large. A quality Spitfire badge fitted with two pins and clutches for security. Finished in 22 carat gold plate and supplied in a gift box.